Because the legal drinking age in California is 21, the law recognizes that there should be penalties for underage DUI drivers in Los Angeles who have any measurable amount of alcohol in their system. In addition to losing their licenses for a year, drivers in California who are under 21 and who are found to have a blood alcohol content between 0.05 and 0.07 percent can be punished under California Vehicle Code Section 23140 VC. While under 21 DUI with a blood alcohol content between 0.05 and 0.08 percent is an infraction, misdemeanor criminal charges of DUI or driving with a blood alcohol content of 0.08 or higher pursuant to California Vehicle Code Section 23152 VC can be charged if the driver’s BAC was 0.08 or higher. In addition, the underage driver would face a yearlong driver’s license suspension pursuant to California Vehicle Code Section 23136 VC. A young woman goes to a friend’s party the day before her 21st birthday. The woman has two drinks over the course of the night and is stopped by police while driving home. She submits to chemical testing and is found to have a blood alcohol content of 0.07 percent. The woman could be cited for under 21 DUI with a blood alcohol content between 0.05 and 0.07 percent and could lose her license for a full year. If the incident had occurred one day later, when the woman had turned 21, she would not be guilty of any offense (assuming she was not driving in a manner consistent with being under the influence) and would not lose her license. Just as with other DUI offenses, if there was insufficient probable cause to justify the vehicle stop, the resulting evidence would be suppressed and there would be no violation of California Vehicle Code Section 23140 VC. In addition, there may be cause to challenge the results of chemical testing, especially if the PAS device or other breath testing device was not properly calibrated or maintained. In these situations, an effective Los Angeles DUI attorney can demonstrate how the results were inaccurate and thus unreliable. Under 21 DUI with a blood alcohol content between 0.05 and 0.07 percent is an infraction and thus does not carry any potential prison or jail sentences. A first conviction for this offense is punishable by a $100 fine plus penalties and assessments. A second conviction within a year increases the base fine to $200 and a third violation of California Vehicle Code Section 23140 VC increases that base fine to $300. In addition, a driver risks losing his or her driving privileges for a year, would have to complete an alcohol education class to get their license back and may also be ordered to attend a youthful offender alcohol program by the court. If you or a loved one have received a citation for DUI with a BAC between 0.05 and 0.07 while under 21 it is very important that you consult with a Los Angeles DUI attorney immediately. There are time limits that begin running once the arrest occurs, and failure to request a DMV hearing may result in an automatic license suspension. As a former Deputy District Attorney with over 14 years of prosecutorial experience, Los Angeles DUI Attorney Michael Kraut understands the stress and concern that a charge of this nature can carry as well as the how damaging the loss of driving privileges can be. 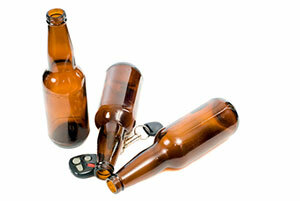 Mr. Kraut works hard to ensure his DUI clients receive the best defense possible. For more information about underage DUI, and to schedule your free consultation, contact Los Angeles DUI Attorney Michael Kraut at the Kraut Law Group located at 6255 Sunset Boulevard, Suite 1480, Los Angeles, CA 90028. Mr. Kraut can be reached 24/7 at 888-334-6344 or 323-464-6453.